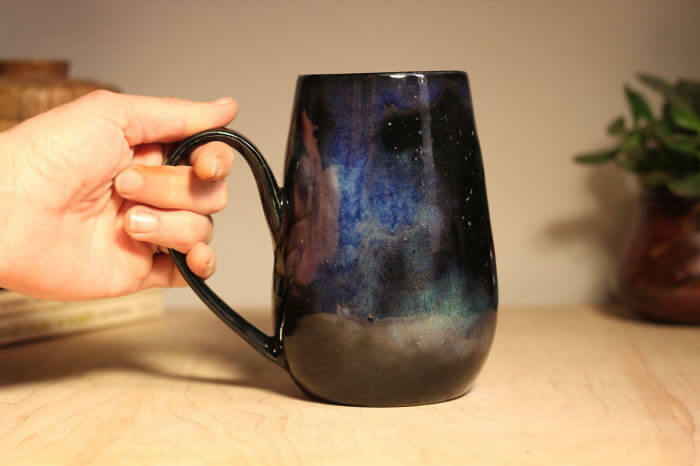 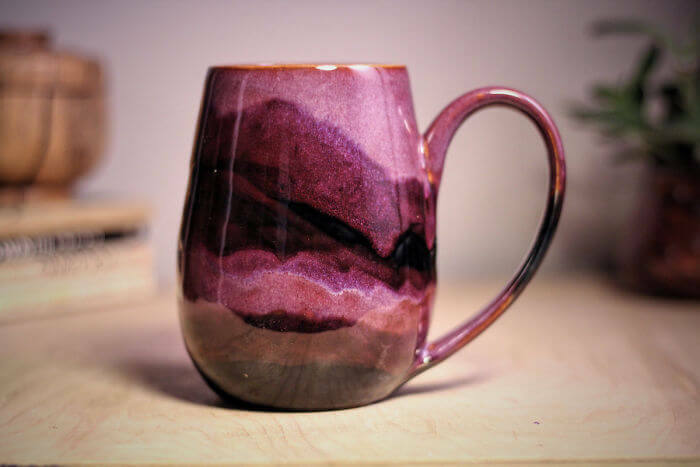 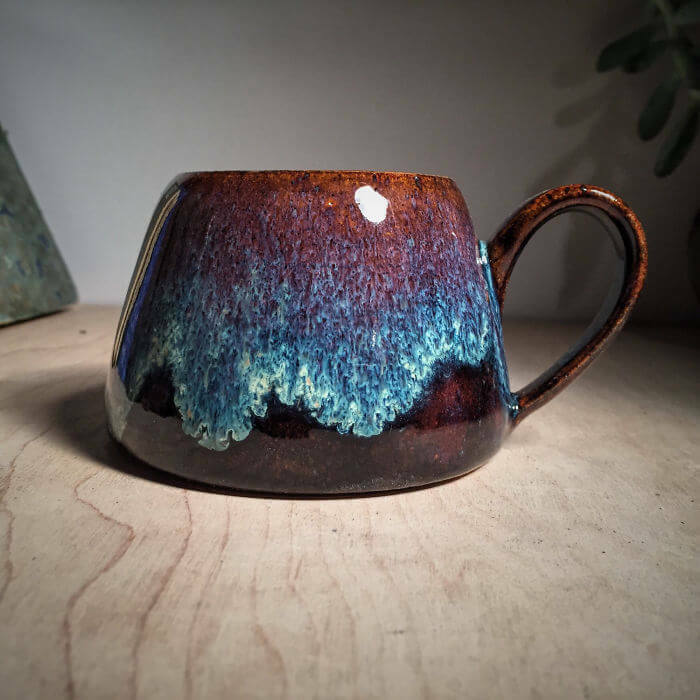 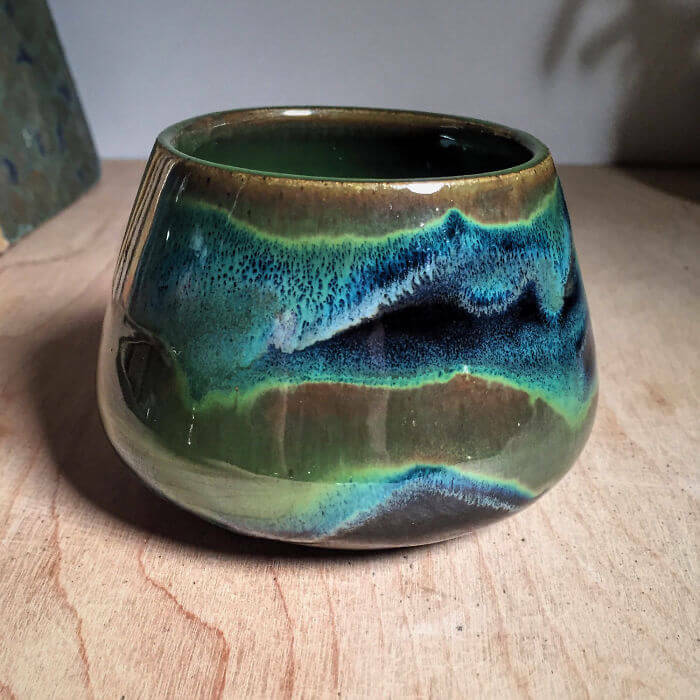 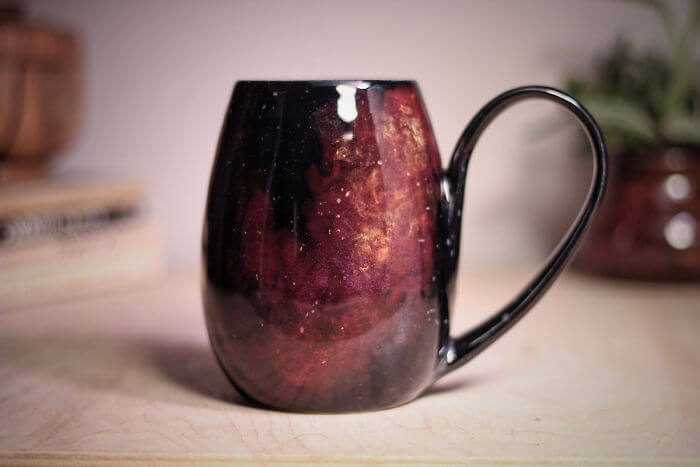 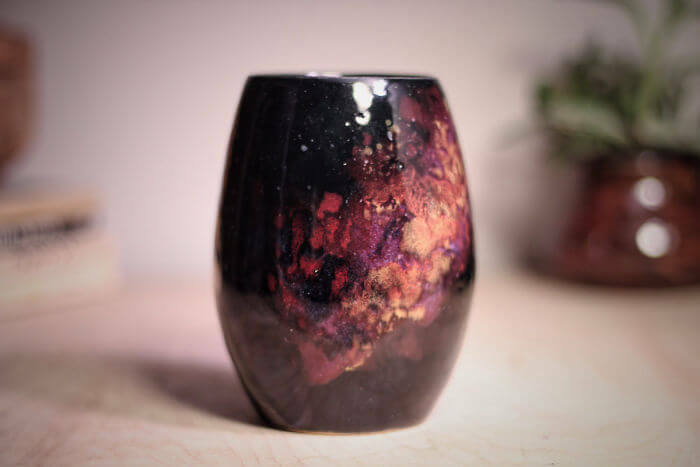 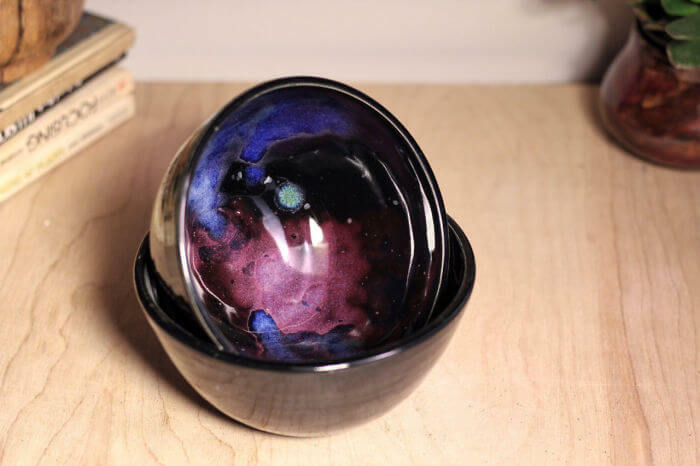 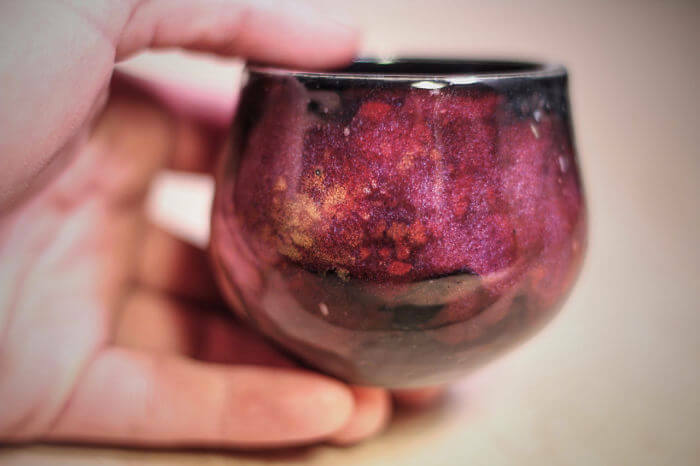 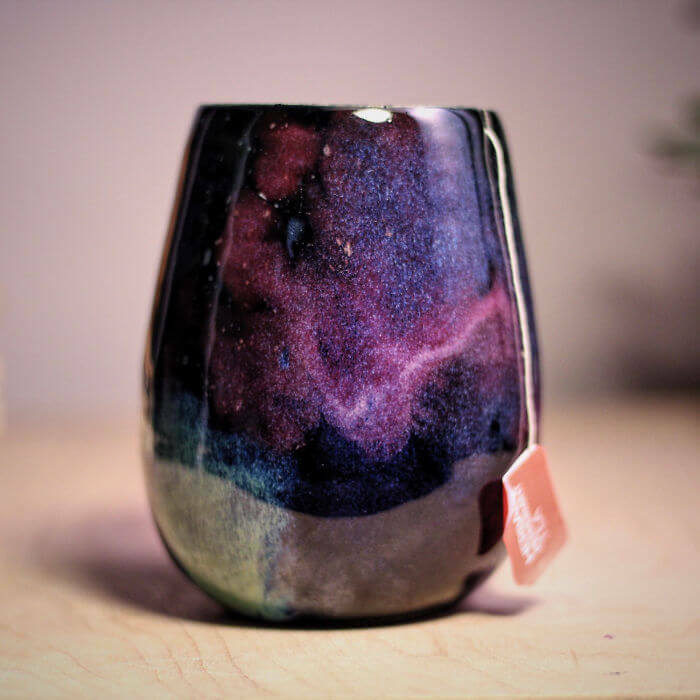 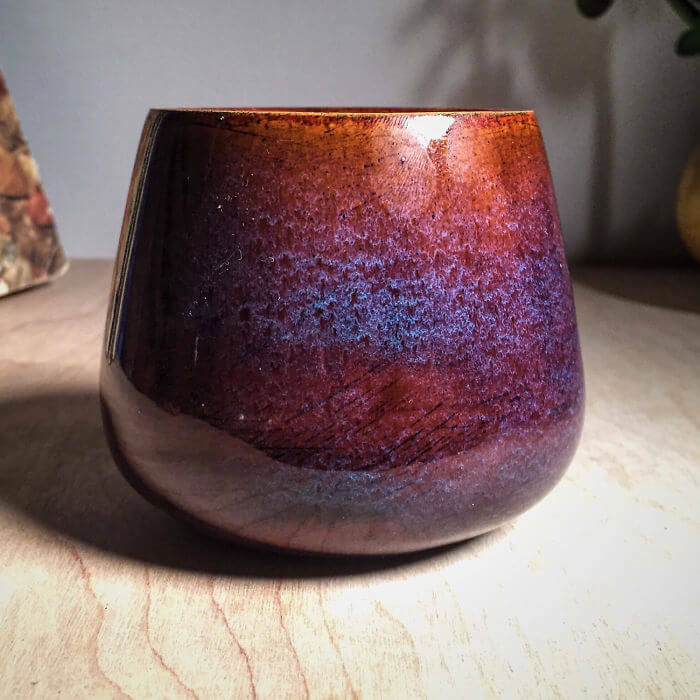 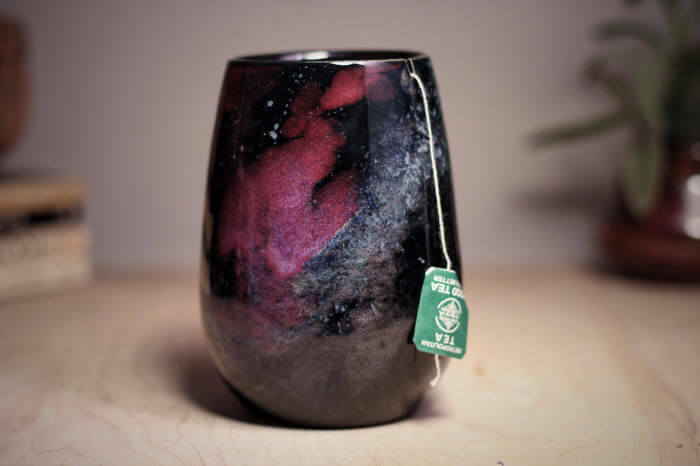 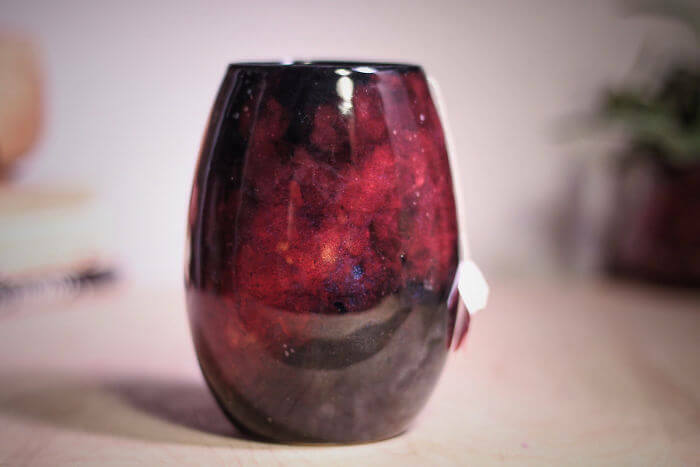 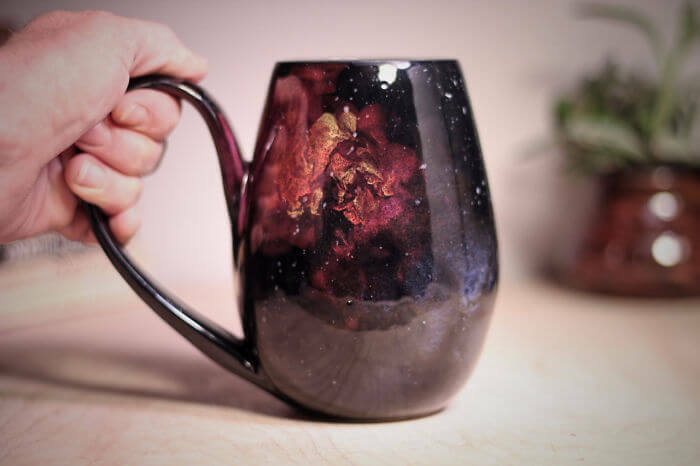 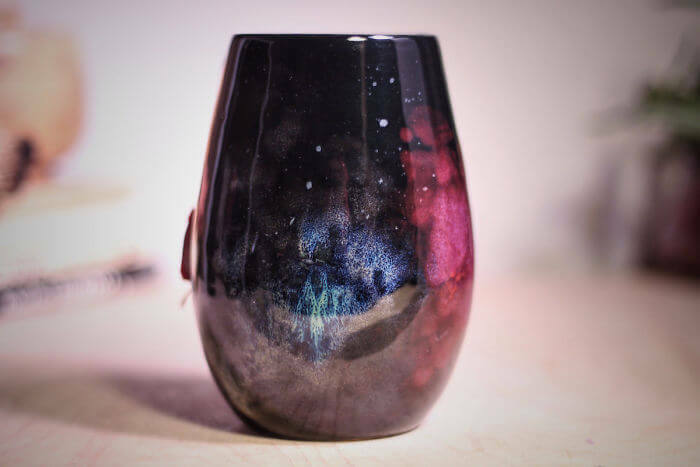 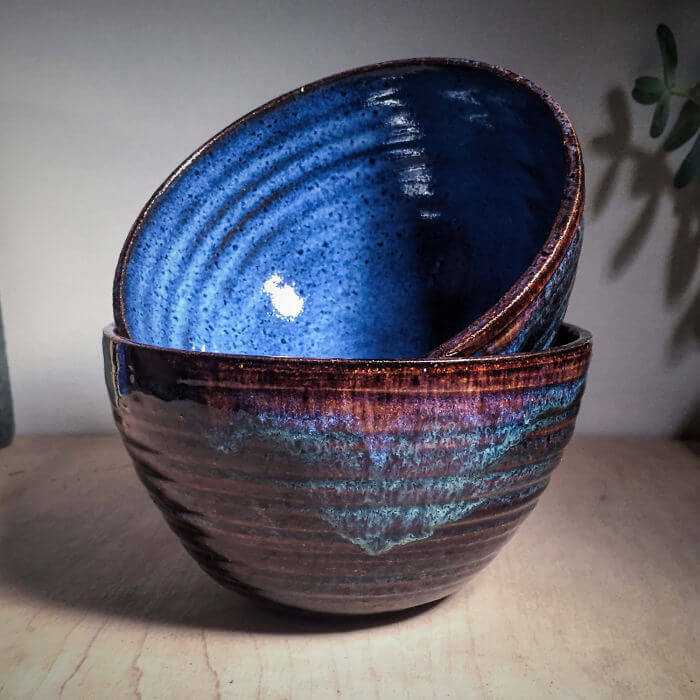 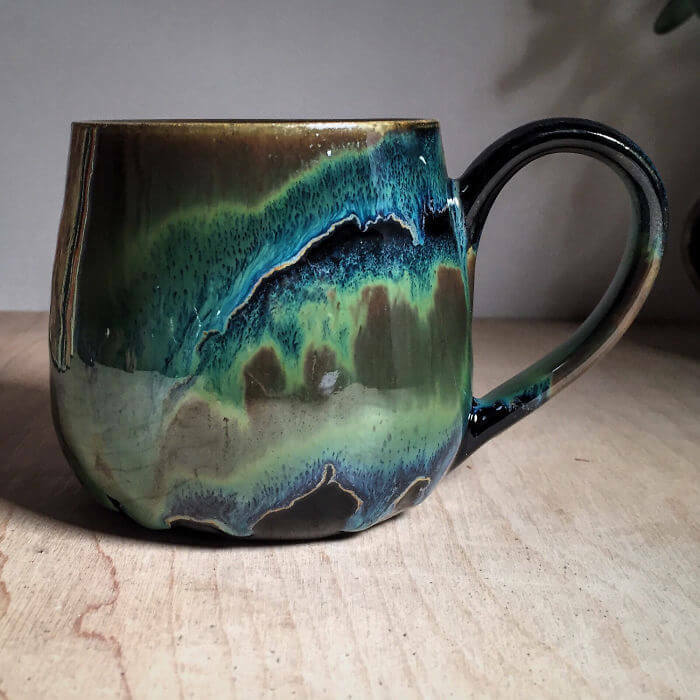 Now don’t get us wrong, Amanda can create any type of bowl,mug or cup or even other shapes as she pleases, but she mainly focuses on creating galaxy cups. 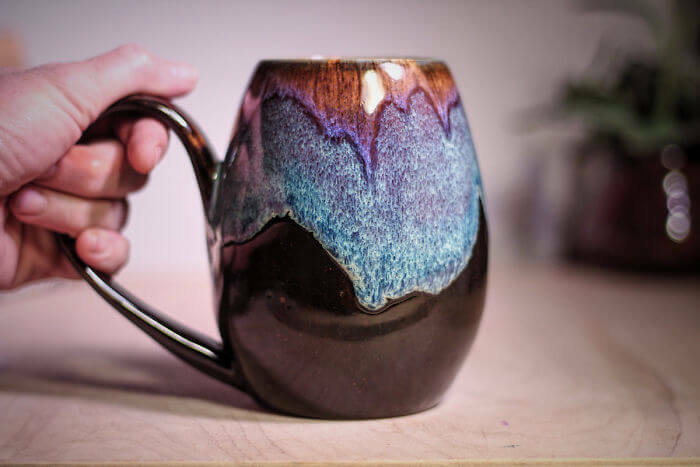 She explains that every cup or mug she makes is a tool that she offers to her customers, it should be used as a tool for self care and reflection. 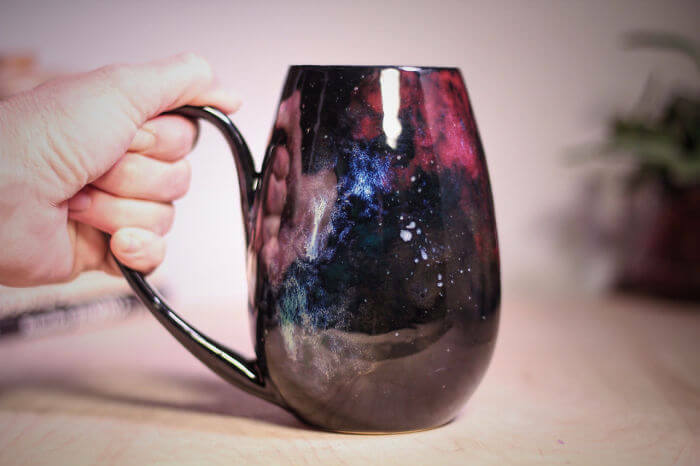 Drinking your cup of coffee while looking at the galaxy could be your little moment in the day that is just yours. 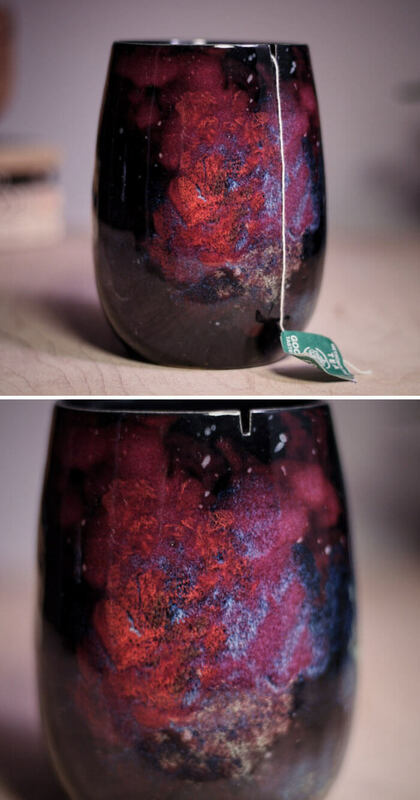 Sublime, perfect. 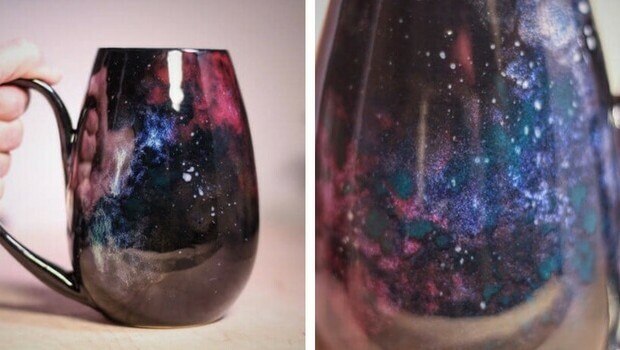 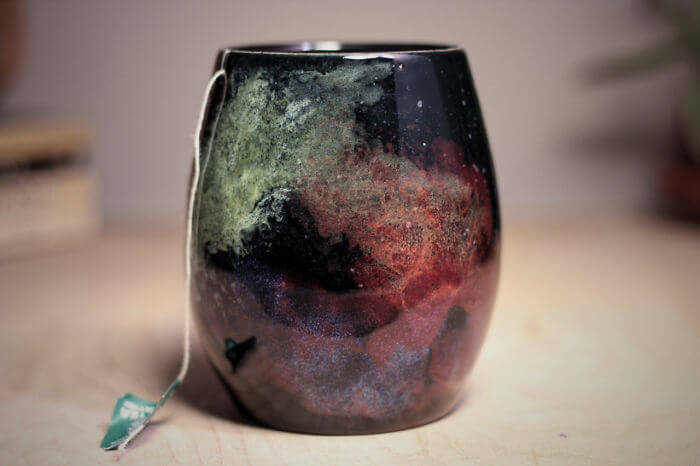 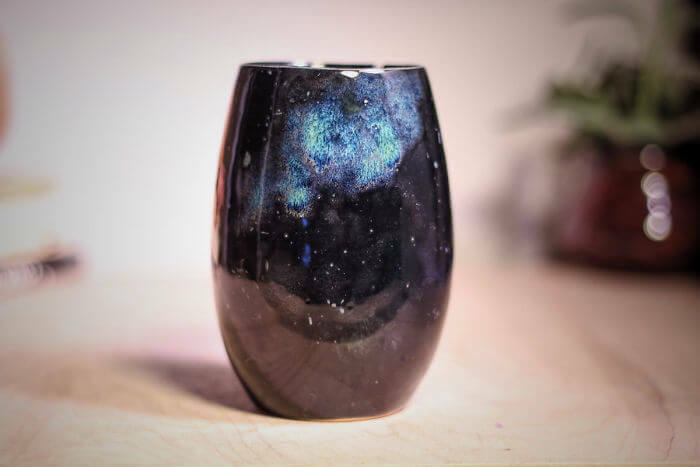 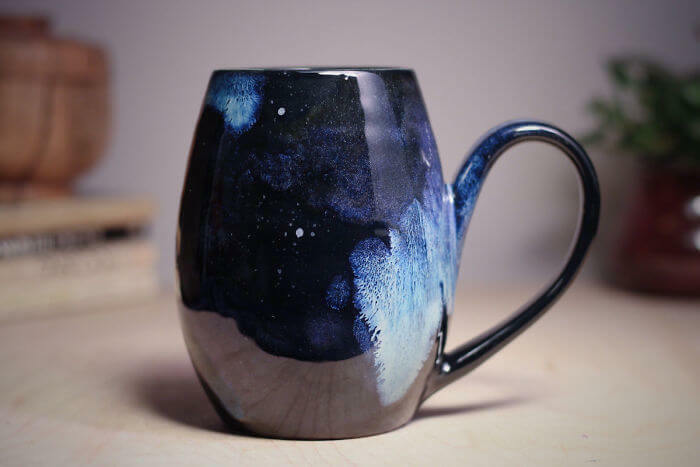 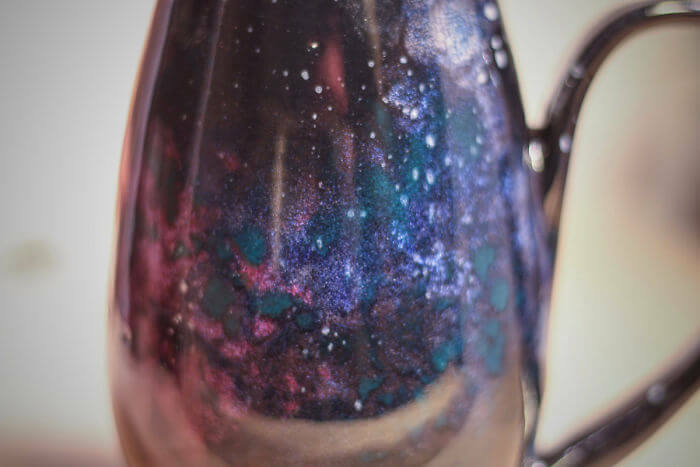 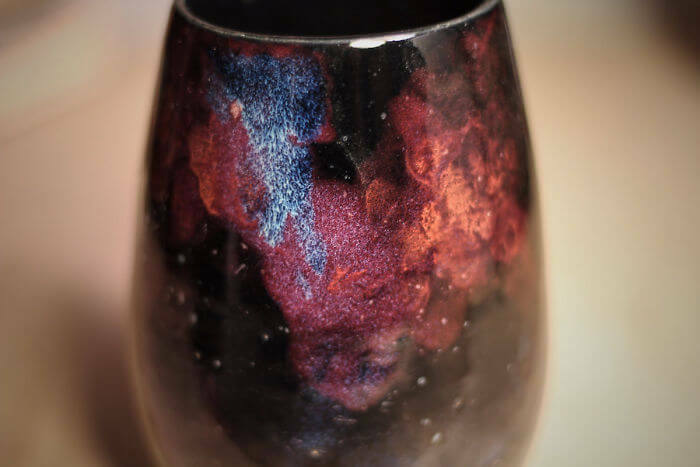 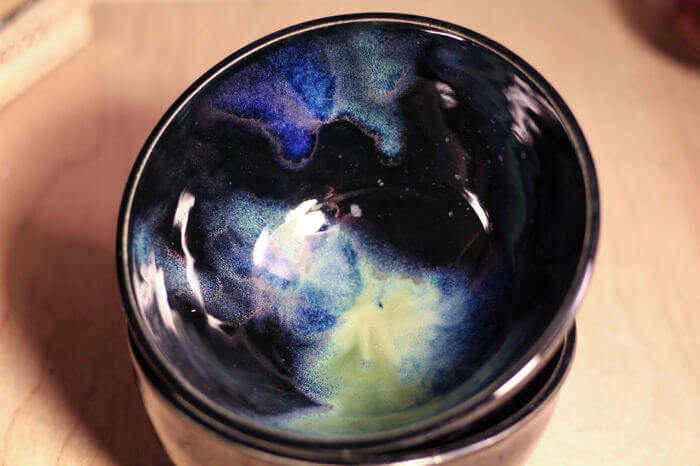 She uses a mix of glazes to create her starry night effect on the cups, each galaxy cup is different from the other just like every night sky seems unique. 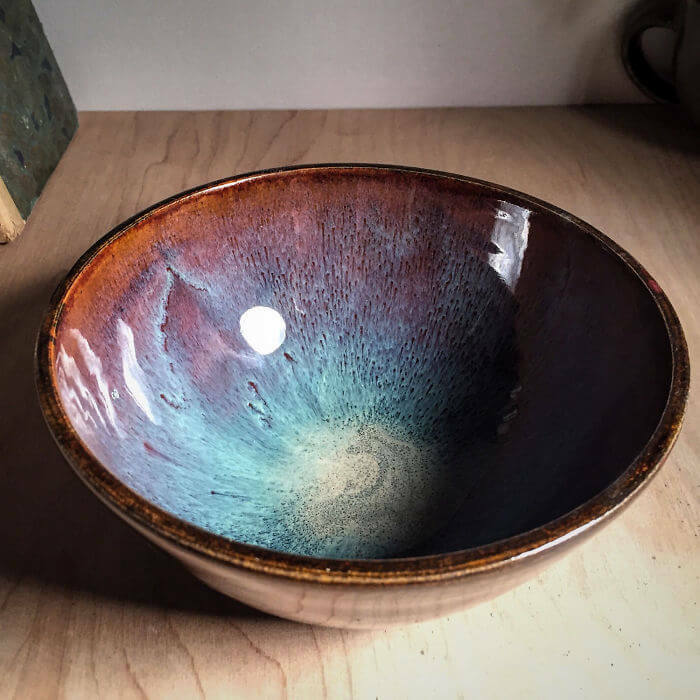 Believe it or not, Amanda makes all of her pottery creations on the pottery wheel and then offers them on Etsy. 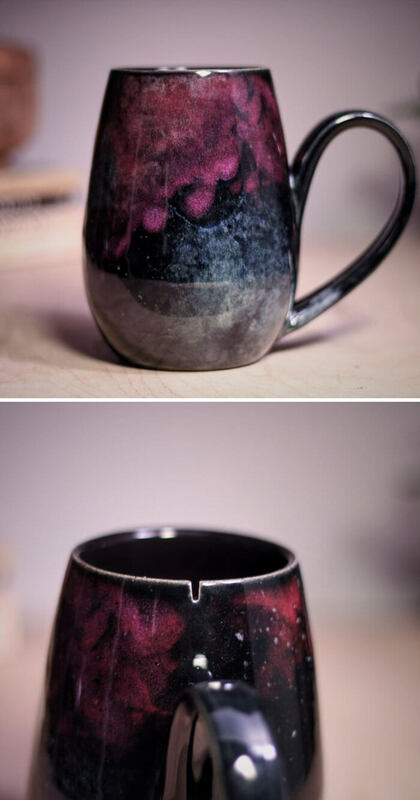 She sees it like the creative process is still happening after the customer uses her cups in his everyday life. 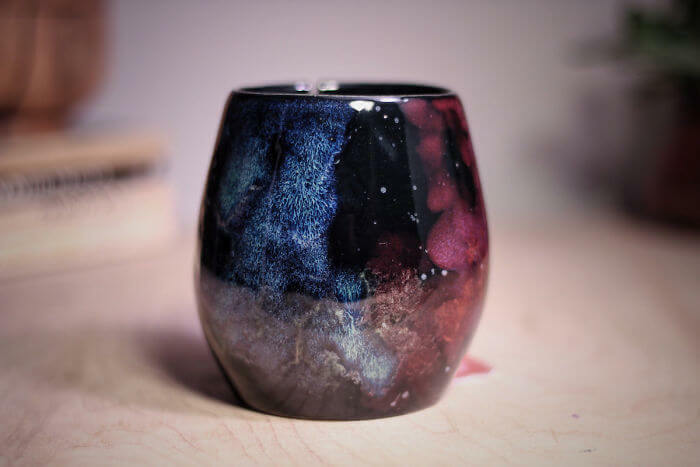 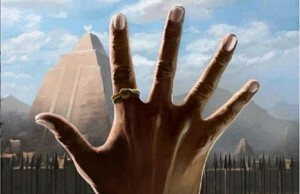 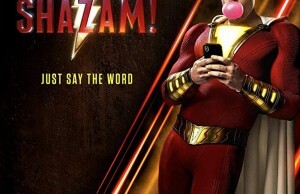 See the rest of the cups below. 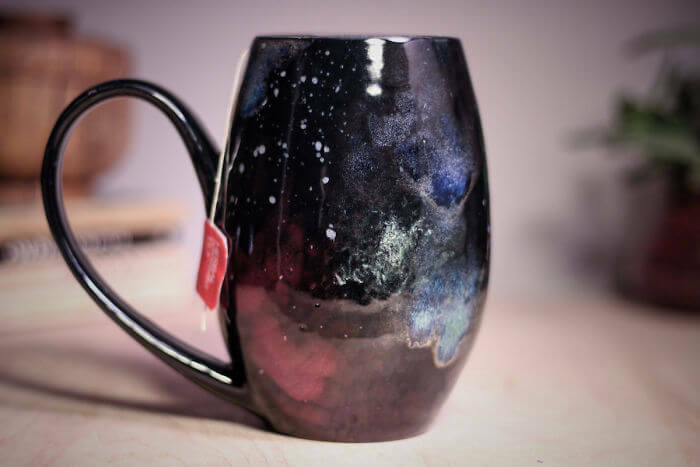 We really enjoyed looking at Amanda’s universe cups and mugs, if you liked her too, be sure to follow her on social media.